stunning luminescence and a 3-D quality that invites you to step into the scene. 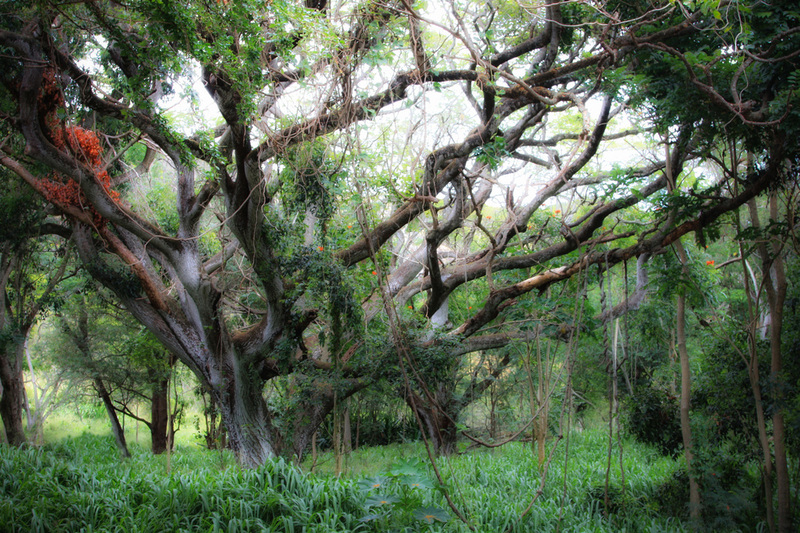 - Aluminum prints come with a preinstalled lightweight float system and are ready for immediate hanging. 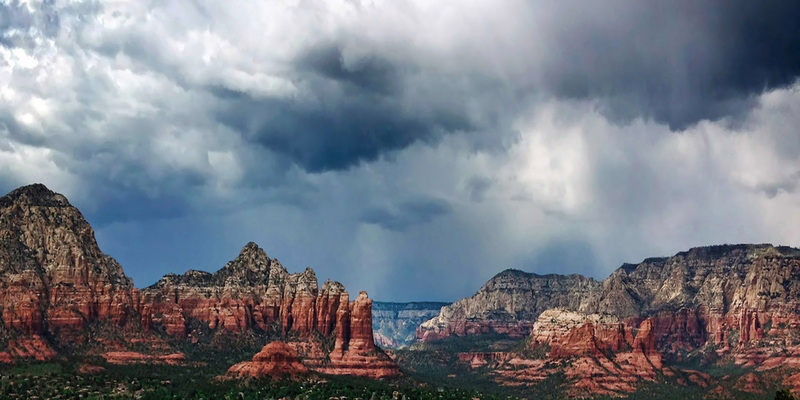 - Because water, humidity, and other factors won't hurt them, aluminum prints can be hung just about anywhere: kitchens, bathrooms, garages . . . boardrooms. - If they get dusty, smudged with fingerprints, just wipe them off with water or glass cleaner! I started with one . . . . and now I have dozens! The impact and immediacy of these prints are unrivaled. Most of my photos can be infused into aluminum . . . below are selected samples. 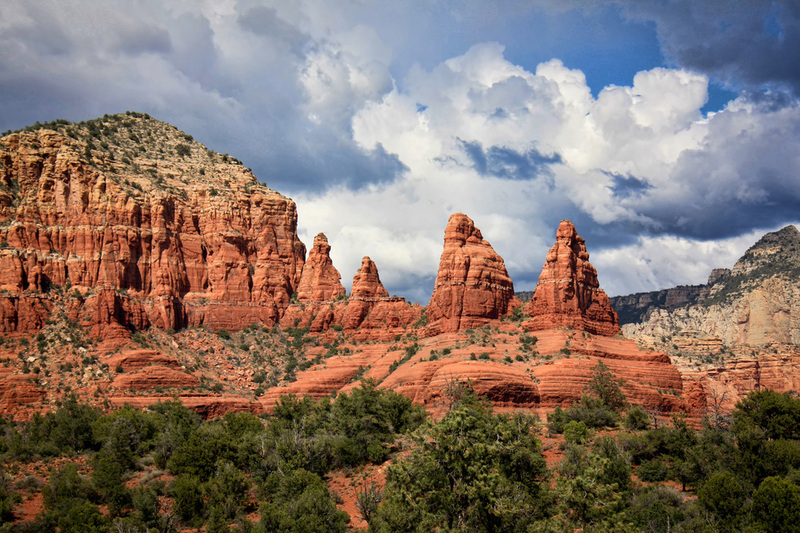 CANYON SENTINELS ~ Ancient, carved red rock formations send as sentinels to the limestone canyons behind them. 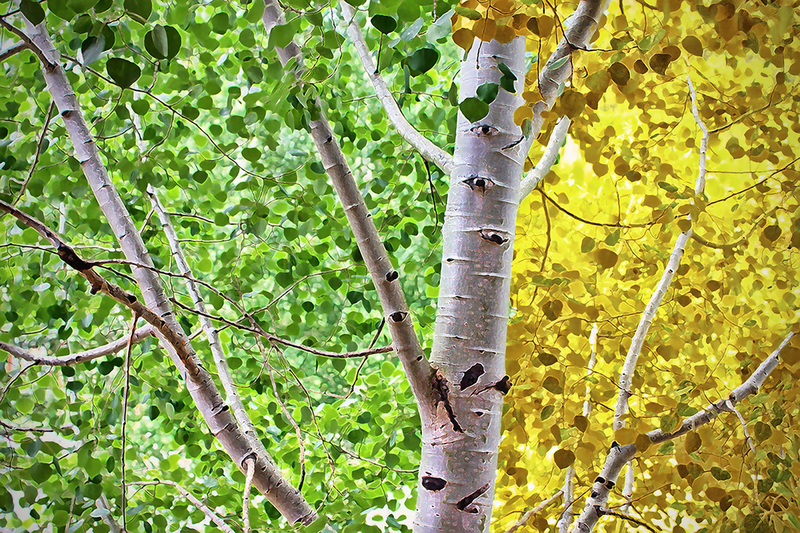 ASPEN TRANSFORMATIONS ~ Just can't decide what color to wear . . . MYSTIC MORNING ~ Burnt off mists, filtered sunlight, a huge, magical tree spreading across the clearing made the morning mystical. 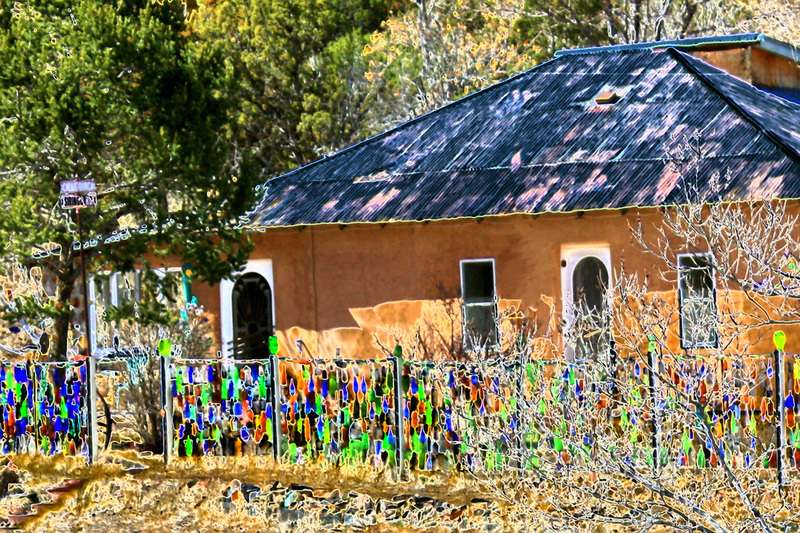 TIN ROOF, BOTTLE FENCE ~ Old adobe, tin roof, bottle fence sparkling in the hard winter light. 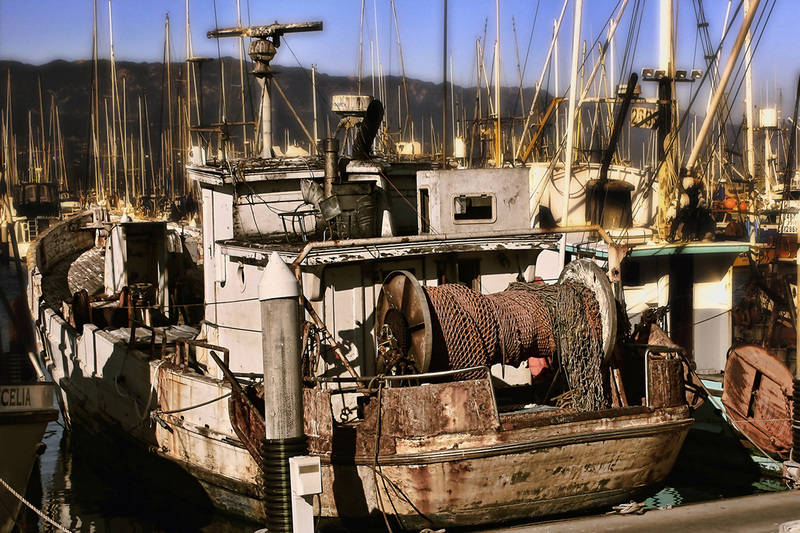 THE DORA MAE ~ one of a commercial fishing fleet that has been operating for more than 50 years. 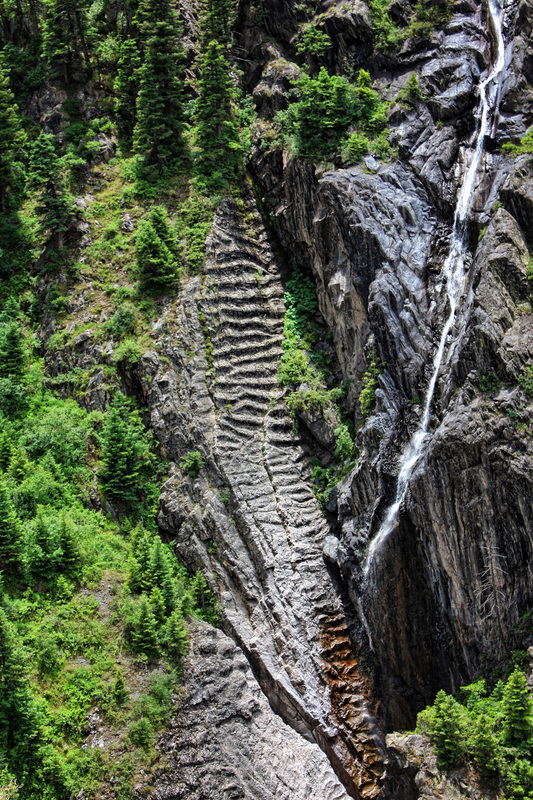 ROCKY MOUNTAIN PATHS ~ Along the San Juan Skyway threading through the towering peaks of the Rocky Mountains, was this spectacular scene: ancient grey-black cliffs, one side smooth from eons of snowmelt, the other other side "laddered" in distinctive erosion patterns, both sides adorned with lush green pines. 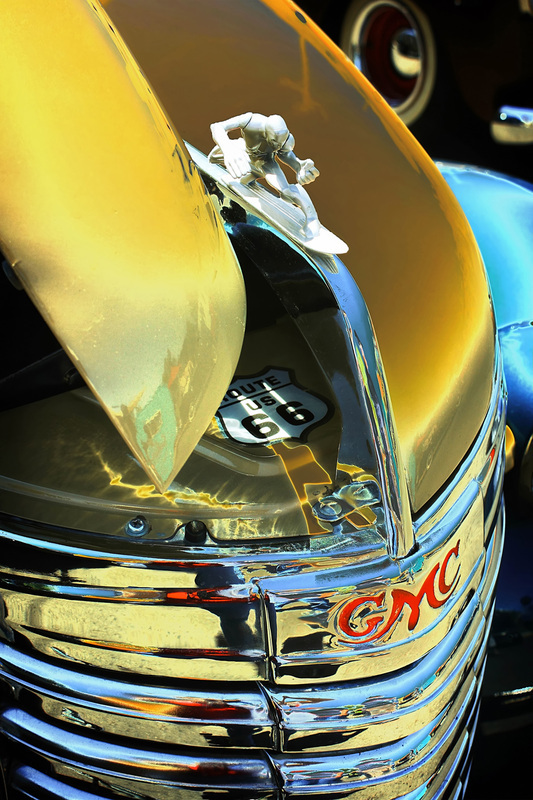 SURFING THE OLD ROAD ~ A custom restored 1940 GMC Panel Truck, complete with the Route 66 emblem under its hood and a stylized surfer hood ornament. SILVER FALLS ~ In the arid southwest, even the tiniest trickles of water are treasured. 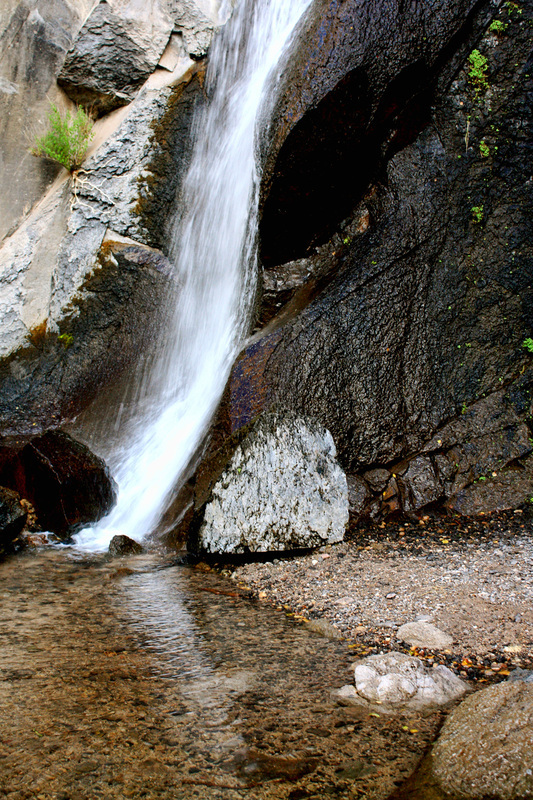 Hidden away in the Jemez Mountains are these small falls ~ a wispy, whispering rush of silvered water over the cliffs. 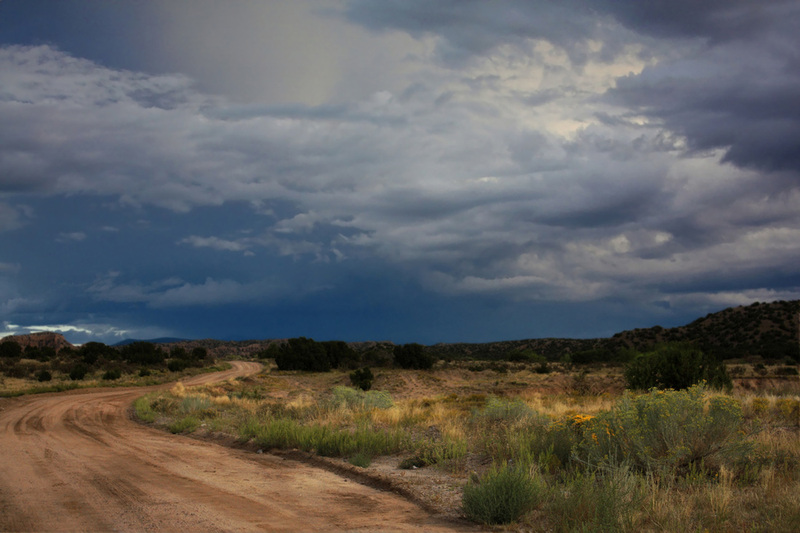 ROAD TO THE CLOUDS ~ A winding dirt road, lit by late afternoon storm light, seems to lead directly to the clouds. CLASSICAL SURF ~ Longboards, short boards, handcrafted boards, bright boards . 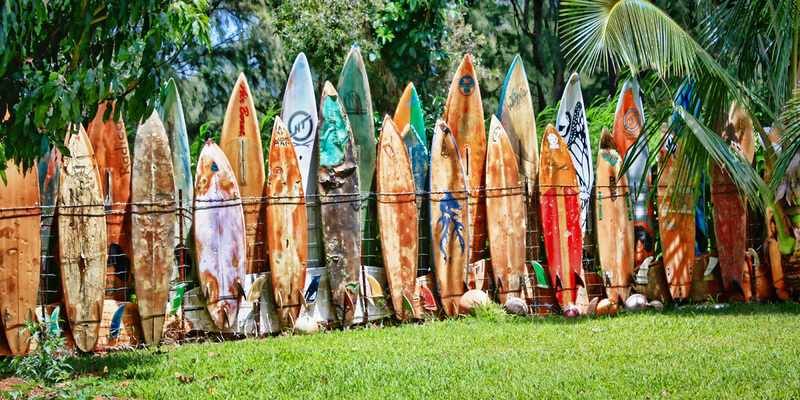 . . A retirement home for surfboards.